PCAs and companions are deployed to the patient’s home once a care plan is approved. Our aides are available whether for Live-In or Live-Out Care. Their services can be customized depending on the arrangement and preferences as suggested by the patient and the results of the his/her evaluation. 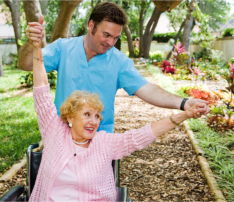 We are open for temporary or long term care services. Services at our Non-Medical Home Care Agency in Framingham MA are also available on weekends and holidays. You can revel in your care choices for very moderate fees. Home care services are usually fully covered by HMO and Private Pay methods, checks, cash, or Visa card. Angelic Love Home Care provides selfless care to anyone in need, regardless of race, ethnicity, social standing, gender, age, or religious affiliations. We are an equal opportunity provider and employer, campaigning for the global recognition and respect of cultural diversity. For inquiries, please call Angelic Love Home Care at 508-861-7186.